As part of our on-going education of the California SMOG check and STAR program community, we’re publishing some short Q&A on various topics concerning possible Bureau of Automotive Repair issues. 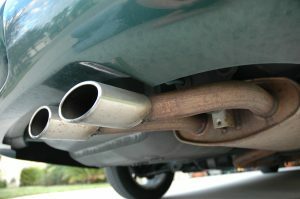 This post touches on the controversial issue of “undercover cars” being sent out by the Bureau of Automotive Repair that then get “SMOG checks” by unsuspecting SMOG check stations or STAR program participating stations. Remember: every situation is unique, and nothing on our blog or website should be construed as legal advice. Affected parties are urged to consult an attorney! Q. I have heard that the BAR sends out undercover SMOG cars. Isn’t this entrapment or illegal? We have successfully argued entrapment defenses in these cases. When a BAR agent comes in offering hundreds of dollars to clean pipe a car – that’s entrapment. This is a valid legal defense to cases such as these. As with anything the defense is very fact specific and technical. It will vary from case to case. conflict of interest? How do we know the undercover cars are playing fair? In regards to the normal undercovers, such as PCV’s, EVAP’s, etc., we do not see criminal cases coming out of these. Furthermore, the cases are filed by the District Attorney’s office in the local jurisdiction. So the BAR is not prosecuting these cases, the DA is. The DA will have to prove their case beyond a reasonable doubt. Whether or not the DA has enough evidence to do so is another question entirely.